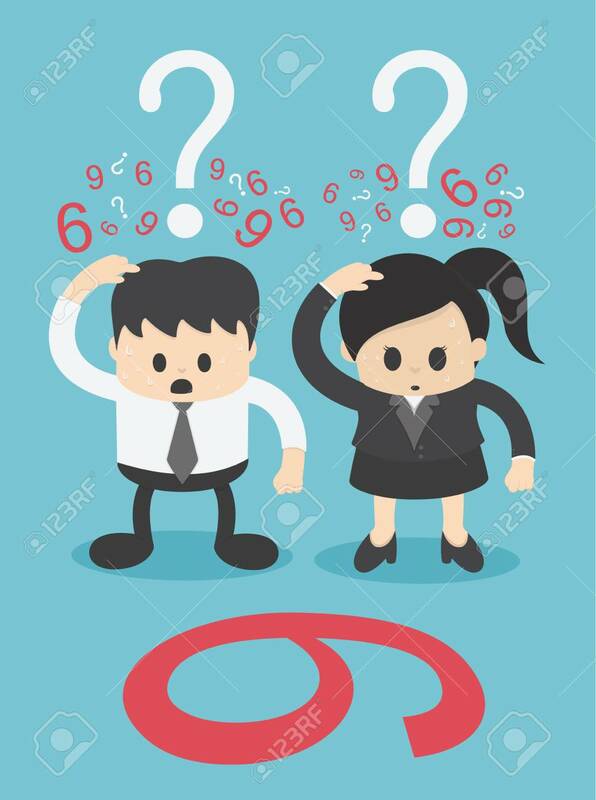 Two Businessmen Confused Number Six Or Nine ?. Think Differently Clip Art Libres De Droits , Vecteurs Et Illustration. Image 109508102.